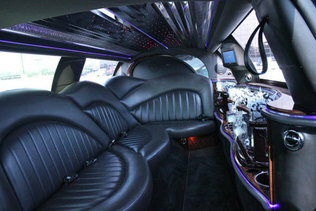 Take a ride in one of our luxurious limousines and see the New York nightlife. Our goal is to provide an excellent transportation service that gets you out on the town and home without hiccups. We are a close knitted family and able to take pride in the customer satisfaction that we earn from each job. We are agile enough to take on big volume and still not blink. Try us out. Book one of our luxurious limousines for a night on the town. The 11 seater Mercedes Sprinter Van transports your guests in complete comfort. Its minimalist design ensures it doesn't go out of its way to stand out, but still manages to retain an element of style and luxury that compliments the wedding party's limo and lead cars perfectly. The classic luxurious Lincoln stretch fits 10 passengers comfortably and is the perfect companion to an elegant and stylish wedding. The leather interior is brand new and the car boasts top-of-the-line extras such as LCD TV's, sound system, curved style seating, bar and more. The Chrysler 300 stretch features a gorgeous glossy white exterior with a luxurious and modern look. It's the perfect way to add a touch of modern class to your wedding. The Chrysler 300 comes with all the features you'd expect like a fully leather interior, TV, sound system, bar and LED lighting. The Biggest party Bus in our fleet, the 31 Passenger Tiffany. This Bus has everything you need inside, its unique design inside and out will be sure to wow you and your guests. The interior is loaded with tons of features, so that you can get the party started on your way to town. Our Drivers know the hottest venues and they will get you there on time and in style.